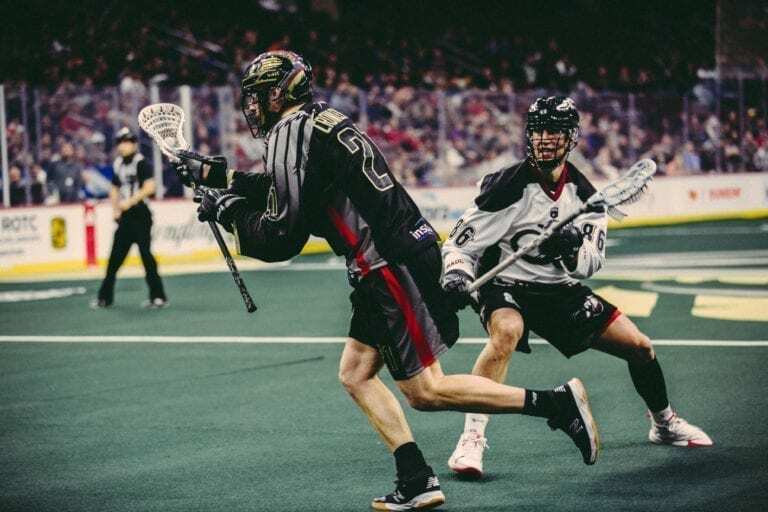 This ‘Breaking Down’ NLL article features the Colorado Mammoth’s performance against the Philadelphia Wings. 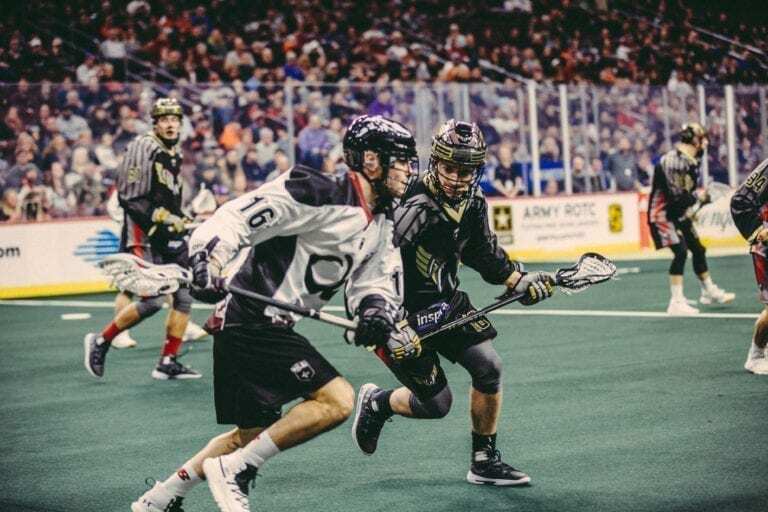 The Mammoth (2-5) took their talents to Philadelphia this past weekend, taking down the Wings 12-10 in a game that saw a five goal fourth-quarter comeback. And while I’m sure they’re happy to be back in the win column, they still sit last in the league in GF with 76. Granted, no one else in the West has broken the 100-goal plane yet — Calgary is close at 98 — and no one in the league has compared to Buffalo’s ridiculous 134 GF yet. But, that aside, it’s a stat that’s indicative of a pattern, one that could come back to bite them in the end. They’ve scored 12 goals in four of their games this season so far, but 12 goals in a game has been the cutoff. Their two wins have come against Calgary and Philadelphia, and the Mammoth scored 12 in both instances, but the Mammoth defense also had huge nights, with Calgary only managing 7 goals and Philadelphia managing 10. The other two matchups in which the Mammoth had 12 goals were losses against San Diego (17-12 final) and Buffalo (15-12 final). They’ve also already been held to 10 or less goals three times this season (all losses, obviously). Now, I don’t think I have to remind anyone that goals put fans in the stands, but more importantly, they win you games. The Colorado defense is already doing its part (third in the league with 82 GA), so what they really need now is goal support. Last year, the Mammoth scored 12 or more goals in half of their games, and some of those were absolute shootouts. Your goalie and your defense are bound to have tough nights, and when that happens the team is going to be looking to the offense to pick up the slack. Right now, they haven’t proven that they can do that. They’ve yet to have 12 or more goals in a game, and if they want to run with the big dogs, they’re going to have to figure out how to get over that hump. It’s not all bad, however. Those 12 goals against the Wings came off only 40 SOG, for a team shooting percentage of 30%. Although those kind of numbers are pretty on-par for first-year Philadelphia net-minder David Buchan, it’s reassuring that the Mammoth are converting when they need to. If you have a young goalie in front of you, you’re going to have to make him work for it, and that’s exactly what the Mammoth did on Saturday. However, the real test for Colorado will come against Georgia this coming weekend. Although the Swarm haven’t been as strong offensively as they’ve been in the past either, they’ll be hungry for a win after losing 19-9 to Buffalo. And you can bet that they’re going to come out firing on all cylinders. If the Mammoth can’t stem the tide, it could turn into a one-sided barn burner (see: the Mammoth’s opening night loss to San Diego). I believe that if Colorado can start scoring 12 or more goals on a regular basis, they’ll start climbing the standings in the West. Jeremy Noble made his return to action on Saturday after sitting out the previous game (assuming to make room for the now departed Stephen Keogh, who was in and out of the lineup up to that point) and had four assists on the night. But Noble is an interesting case, not only due to his lack of production so far (2 G in 6 games) but also because he’s coming off a career year (25 G, 57 A, 82 PTS) and struggling to find the net. While Noble’s 25 goals last year didn’t exactly win him MVP honors, he was the second-leading scorer on the team (behind Ryan Benesch and his 93 points). But currently, he hasn’t had a goal in his last five outings. There isn’t any cause to sound the alarm just yet, but for a team that’s been fighting itself when it comes to burying the rock, it might be time for Noble to step up to the plate. I’m not blaming Noble for either the Mammoth’s offensive woes or record; let’s make that clear right now. What I’m saying is that sometimes as an offensive leader on a team, a guy has to play a little selfishly. Noble has a shooting percentage of .043 to date – not great (compared to .134 in 2018). And maybe that’s partly the reason he’s shooting less (3 SOG last game compared to, say, Kyle Killen’s 8 SOG), or maybe he’s been moved to more of feeder role. Whatever the reason is, I think he needs to shoot more. No one on the team has more than 20 goals, and no one on the right side has hit the 10-goal mark yet. It’s not like Noble is going to go out next game and drop four or five goals alone, but one or two wouldn’t hurt. It’d definitely balance the offense a little more (and take the pressure off younger righties like Killen and Ryan Lee). Plus, can’t improve your shooting percentage without shooting your shot. But, goals or not, last time around Noble had a solid game, and he’s been finding ways to keep his numbers up (11 of his 20 assists this year have come in his last three games dressed) and his team competitive. Including two primary assists on two of the team’s four power play goals against Philadelphia. Like I said before, I’m not calling Noble out. I only spotlight players that I think can make a difference, whether they’ve been “struggling” or not, and I wouldn’t even consider Noble to be struggling as of late. This guy is a true professional, and he’s going to make the necessary adjustments (whatever those may be) to continue to make himself successful in this league, there’s no doubt about that. This week’s rundown of the Mammoth power play will be relatively short, but that shouldn’t take away from how important the power play was to their success against the Wings. The team went 4-for-7 on the power play this weekend, with Killen and Eli McLaughlin each scoring two apiece. After this weekend, the Mammoth’s PP is 5th in the league with a 46.88% conversion rate, and they’re now 15-for-32 on the season. In addition, they now have 7 PPG in their last two outings. That’s a formula for success if I’ve ever seen one. Now, overall record aside, the Mammoth power play has been strong all year (only being shutout once in seven games), and is the reason they walked out of Philadelphia with a ‘W’ on Saturday night. A major theme for me this year has been timing, whether that means a big goal at the right time, or a big save in the dying seconds. Timing can be everything in this league. And the Mammoth power play came up big time Saturday, not only because of its efficiency, but also because of when the goals were scored. Down 4-2 early in the second quarter, the Mammoth had a 5-on-3 power play that saw them convert on a quick-stick goal from Killen on the crease. Then, three minutes later, another 5-on-3 power play saw McLaughlin find the backside on a cross-crease pass from Noble to tie the game 4-4. In both instances, Colorado only sent four players into the offensive zone to handle the ball in order to spread the floor and open up space, with the fifth player acting as a safety valve near the midline, a move that definitely made them more effective. Colorado wouldn’t score on the power play again until the fourth quarter, but that’s precisely when they needed it most. Down 9-8 with about nine minutes left to play, outside ball movement allowed McLaughlin to sneak in between the defense and get open on the crease to tie it up. But the last power play goal was the sweetest of all. Colorado was up 11-10 with under five minutes left in the game, and Noble, Killen, Benesch, McLaughlin and Chris Wardle were sent out to make things happen (the only change from the game before was Noble taking Lee’s spot, a smart move seeing that 3 of Noble’s 4 assists came on the PP). With Benesch quarterbacking, McLaughlin snuck back into the middle of the floor towards the crease, just as he did the last time he scored, but this time the defense sluffed in and made sure he was covered. This opened Killen up or an outside shot that found its way over the recovering defender (who turned himself into a perfect screen; you can even see Buchan throw his arms up in agitation after the play) and past Buchan far-post. That was it, ball game. Philadelphia couldn’t recover and the Mammoth cemented their second win on the year. Now, with even one less converted power play goal, we have a different game entirely. Maybe Philly wakes back up, maybe they go to OT. Who knows? Speculation aside, Colorado’s power play is good, and they’re proving that it’s no fluke. They’ll just have to keep the momentum going if they want to take down Georgia this coming Saturday night. Faceoff is at 9:00 p.m. EST at the Pepsi Center.